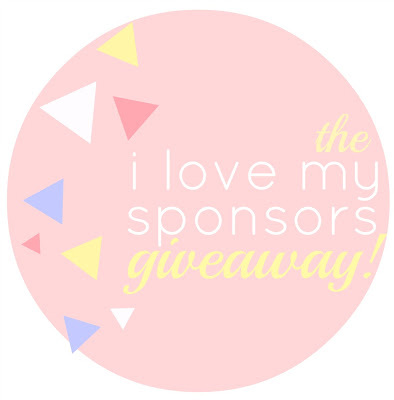 the rikrak studio: the *i love my sponsors* april giveaway! thanks for your encouraging words & dear dear comments. it's a pleasure to read thru your hellos, responses & ideas each day. i always love seeing what you have to say! and thanks for playing all the little games and activities on the blog, for your warm and wonderful emails too! AND... thanks so much to all of you lovelies out there who have really made my day by supporting my little adventures, as dear sponsors & advertisers of the rikrak studio blog. you nicies mean the world to me, and i really appreciate it! (this is my *free-to-my-lovely-sponsors* giveaway!) so with a thankful heart, and a happy focus on the wonderful renewal that comes with april ... a little giveaway for all of you! exciting news, cuties! we're trying something new here on the blog! after the tremendous success last month of using rafflecopter, it'll be our fun new giveaway medium! just click away and follow the instructions! i'll still be using random.org to draw the winner! if you'd prefer to enter the way you always have (leaving comments in the notes below instead ) that's superdooper, too! either way is great with me! i'll put all of them together at the end! a Rafflecopter giveaway & congrats to the winner of last month's fun giveaway: #769 black asphodel! 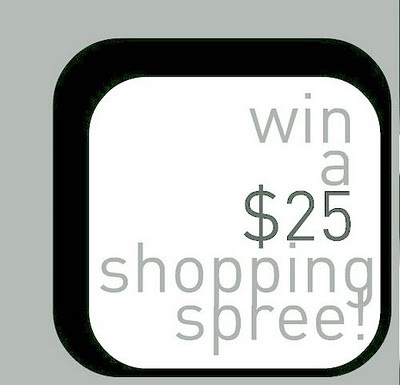 you've won yourself a superfun $25 shopping spree! I am renewing my garden! Well there are many things renewed this days here! One of them is my commitment to going to gym again after almost two years...it's a bit hard...love this giveaway! Great giveaway! I'm renewing my gym workout so I will be in shape by summer! I'm renewing my love of books and crafting. I lost my way when I first got sick and I'm now back to being me. I'm renewing my way of thinking. I am renewing my desire to remodel the living room! Hmm.. renewing my love for the Inkworld trilogy! Im always renewing my desktop background! I renewing my picture folder on my computer. I'm renewing old toilet paper rolls to be miniature chairs. I am renewing my desire to eat healthy and be healthy everyday! I am renewing play time with my kids! Now that spring is here its so much easier to go outside and play. I plan on doing alot of that this year! I'm renewing my New Years resolutions! Now that the weather is getting nicer I'm getting back into walking outdoors after work! I'm renewing my desire to make bread (and make time to do it). Thanks for the reminder. I have been renewing old friendships that I had lost touch with through time and a move across country. I have been going through all my old photos from college and my 20's and 30's and contacting the people through social media and sending them the pictures. You wouldn't believe how many people have replied and how many "new" old friends I have renewed! I am "renewing" myself. Eating better, exercising and all that good stuff. I am renewing my confidence in all my creative skills - thanks to blogging and a great supportive community of artists and makes online! I'm renewing my yard by cleaning out the flower beds. I'm recycling an old flannel sheet and making curtains for my daughter's bedroom. I am renewing my landscaping as well as my family room back into the garage it was originally when my home was built in the 1960s!! I'm renewing my motivational spirit; be it exercise,my spirit, my health, just a total renewal and growth of self. Having been sick for several years, I am pulling myself up and dusting myself off. I feel a sense of excitement as I am preparing for hopefully a final surgery, then maybe better health and greater independence. Love the shops! Find me on etsy at Righteous Recycling...proceeds go to charity. After years of illness, I am dusting myself off and pulling myself out of bed. I went to France for a trip that Renewed my mind, body, and spirit and I am trying to keep that motivation alive at home until what I hope will be my last surgery. The thought of Renewal brings excitement and for me, gratitude. So thankful for the prayers and support that were given unselfishly for me. Like breathing um... oh what is it called? Oh. Febreeze, LOL! I'm renewing my interest in sewing now that I'm done with school.